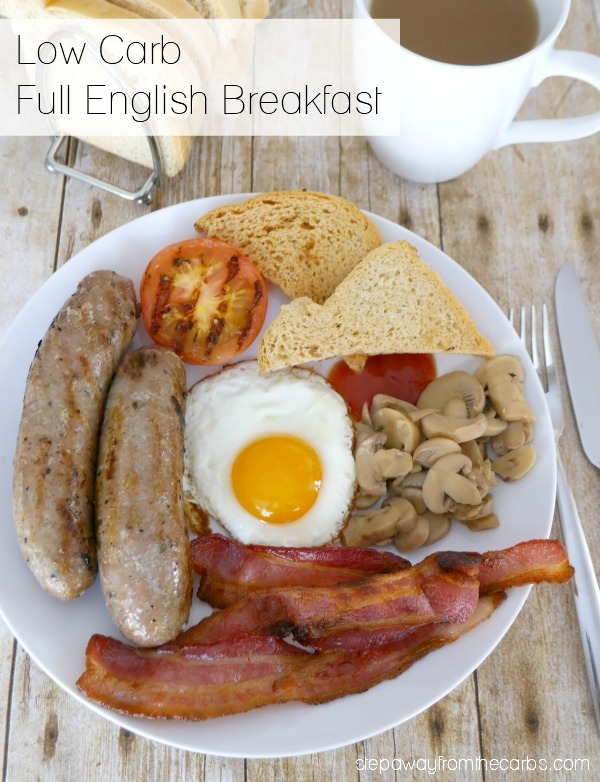 This low carb full English breakfast is delicious and VERY filling! It’s not the way that every English person starts every day, but for the weekends or special occasions (especially – dare I say it – after a night of drinking) a “fry-up” is something that we all enjoy. There are many different parts to the dish, and a few variables, but mainly, it just HAS to be done the right way. I decided that I was going to try and make the best full English breakfast I could – low carb style. There are regional variations, of course – and it would be unusual for one meal to include ALL of the above. In Scotland, you might also see potato scones, haggis, or oatcakes. In Ireland, you might also get soda bread. I’m going to take each one of those components, and discuss their merit and low-carbability! These are usually fried, sunny side up. Poached or scrambled may be substituted, but for my mind it goes against the “fry-up” mentality. Update: I’ve now written a tutorial about how to poach eggs in the Instant Pot! Pork. Always pork. And with no fennel – like many sausages in the US! The best quality sausages contain hardly any fillers, so are super low in carbs. Quality is the key, here. You only need half a tomato per breakfast, and when I say grilled, I mean (in US parlance) broiled. That being said, you could also fry it in the leftover bacon fat. These are cooked as simply as possible. They are usually small white button mushrooms, cooked in butter, oil, or both, with only a small amount of seasoning. 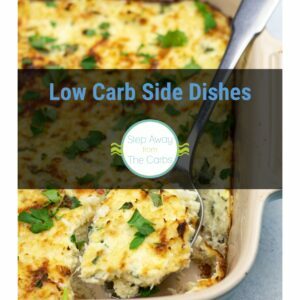 There is definitely room for these in a low carb full English breakfast! Again, this is a matter of preference, but is definitely trickier for low carbers. 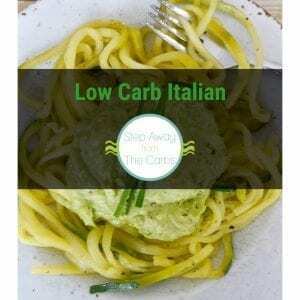 My best recommendation would be to substitute a slice or two from the Great Low Carb Bread Company (buy it direct or from online low carb retailers like Netrition), as it’s only 1g net carb per slice. If you fry it, use butter or the dripping from the cooked bacon. YUM! I used to love this stuff – but not every English person will include it in their full breakfast! The color comes from pig’s blood, and also contains pork fat and oatmeal. I’ve looked around. 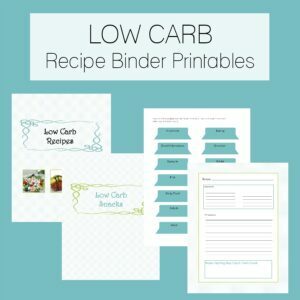 There really is no way of making a low carb version easily. We’ll have to skip this one! And by this, I mean Heinz. Out of a can. There are no alternatives. Ever. So sadly, we low carbers will also have to leave this one out. I bet you were going to guess that I would say to omit these too – BUT – my butternut squash hash (with a secret ingredient to keep the carb count down) would be a great alternative! HP sauce is a classic English brown sauce. 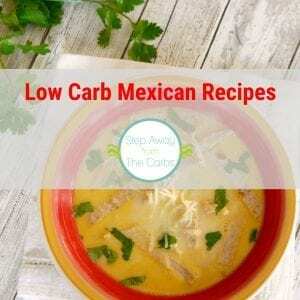 To my knowledge, there isn’t a low carb alternative – but if you know of one please let me know! You’re better off sticking to ketchup – my favorite brands are Heinz Reduced Sugar Ketchup and G Hughes ketchup. Not iced tea. But milky tea. “English Breakfast Tea” is probably the nearest you can buy in the US. So there you have it. The ultimate guide to the low carb full English breakfast! I won’t provide you with a recipe because of all the different components, but look at this loaded plate below!